15 mates? 50 mates? 5 mates who share your passion for music and 20 of your neighbours that you’d love to know better? Whoever your network is made up of there’s bound to be a substantial group who are just as eager as you are to discover new music in an intimate setting. Maybe you have a group of colleagues who you’ve never had a non-work related conversation with. These people might just be eager music lovers and keen BBQ goers. 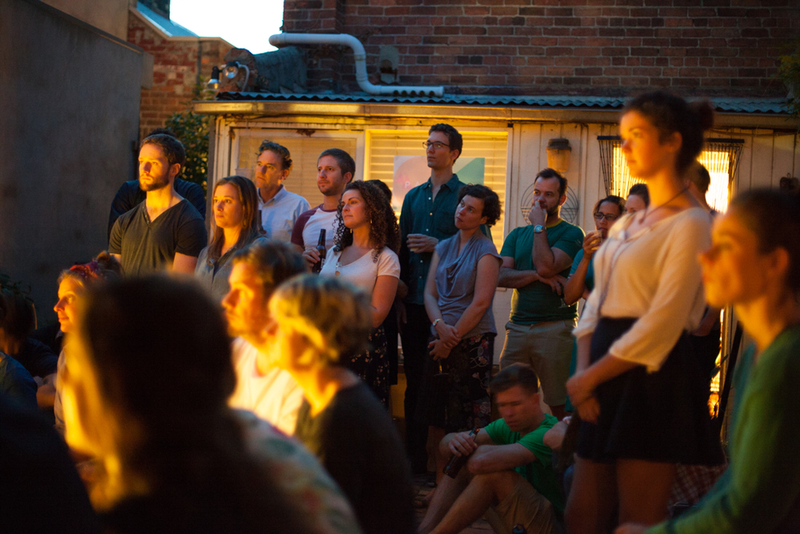 Maybe a couple of your neighbours have creative skills to lend, why not collaborate a bit and combine skills to create an awesome gig to be enjoyed by your whole neighbourhood. Maybe your best mate has a bunch of new mates who share your passion for live music. You may not have even met some of these people but if they like music, they’re probably fun.What about extending your invite to family members? It may be hard to believe but we're sure that they like music and parties just as much as you do. The size of your Parlour gig is dependent on the size of your place and the eagerness of your network. Whether you have a huge backyard or a little front room with some comfy couches the experience is guaranteed to be intimate regardless of the actual size of your guest list. Think outside your immediate network to create a guest list that fills your space with interested (and interesting) guests who will appreciate the experience that you and your artist have co-created.